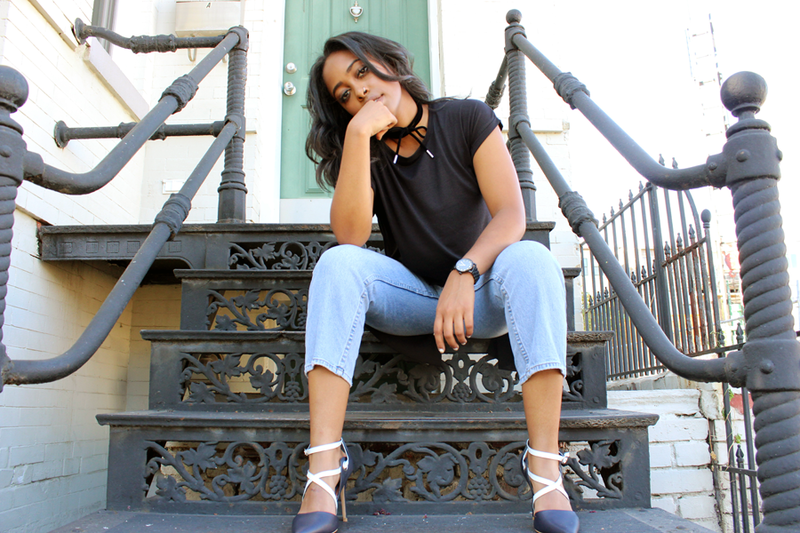 Toward the end of summer, I found myself reaching for a couple of staples that kept me relatively cool and were easy to throw together in various combinations: jeans, heels, loose tees, and a choker. It's missing a baseball cap, but I thought to simplify the look even further by letting my hair do its thang. There's something that I really love about a minimalistic style, so pairing it down in my wardrobe choices has been really fun for me. 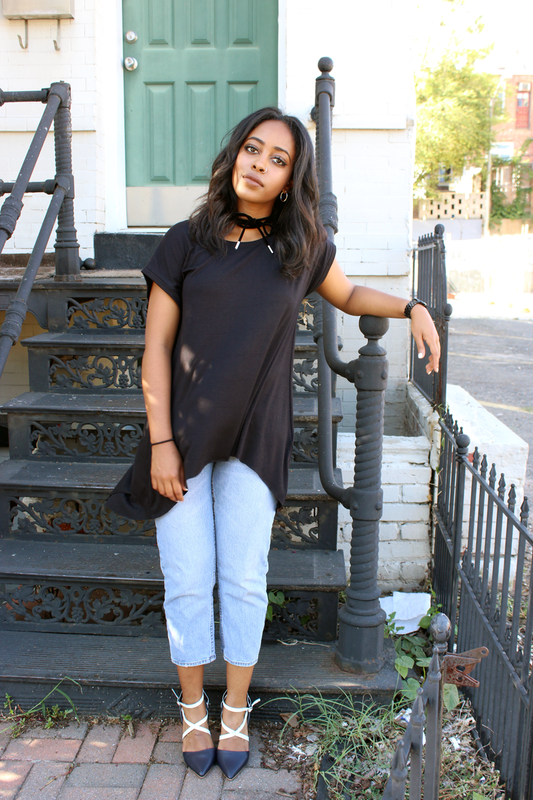 If you come to my page enough, you'll notice that I've blogged the white version of this split back tee before -- once I love something, I have to have it in every color. 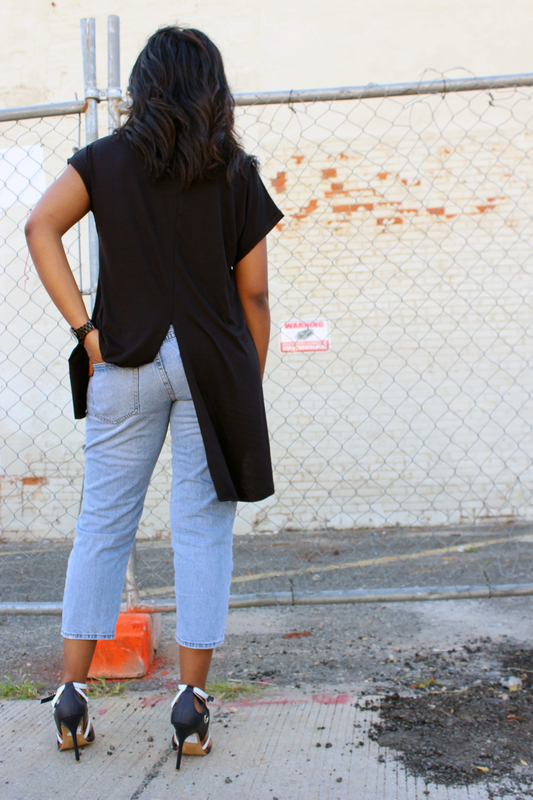 This shirt is so easy to throw on and goes with anything. Skirts, jeans, pants, shorts -- you name it, this tee works with it! It's such a nice material as well, which means you won't sweat to death in hotter climates. 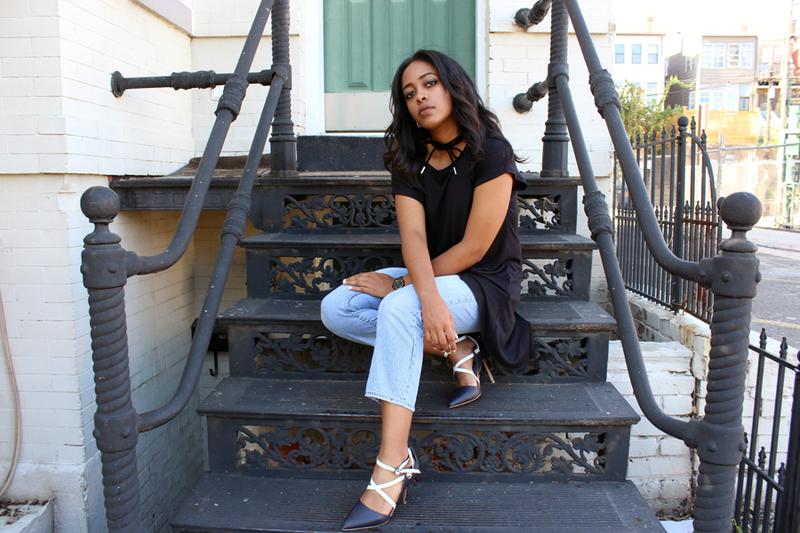 I finished off the look with a pair of slightly cropped Cheap Monday jeans, and these amazing closed-toe court shoes from Topshop. What really drew me to these heels besides the pointed details was the contrast between the navy and the white. I usually stick with my standard black heels, but when I saw these I couldn't resist because I could imagine them being paired with denim so well! This is one of my favorite chokers that I've purchased recently, because it adds a cute little something to the whole look. I shot this with my friend Kaitlyn outside of my apartment, which was a fun new setting. 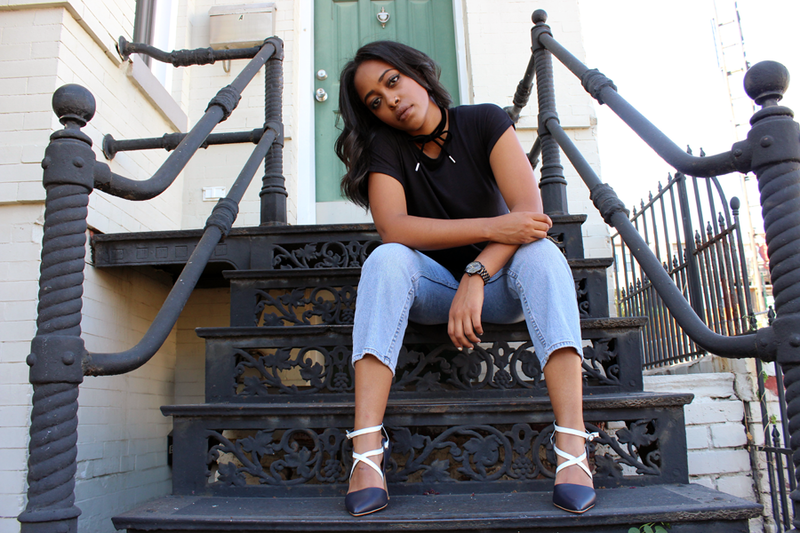 I'm looking forward to exploring more of the city and awesome backdrops, and pulling together some more heels/jeans looks for y'all. And then... Autumn is Coming. CAN'T. WAIT. Do you guys like the heels and jeans look and high-low dressing? Let me know in the comments below, and I'll see you in my next post!